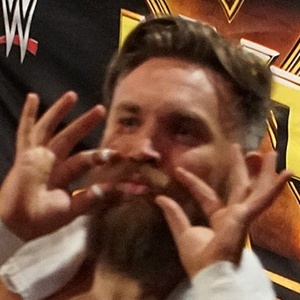 Wrestler who is best known to WWE fans for his work in the NXT territory, where he won the NXT Tag Team Championship Invitational in 2018. He was previously a champion in such promotions as Insane Championship Wrestling and Revolution Pro Wrestling. He did backyard wrestling with his friends as a teenager. He began his formal training in 2008 and made his ring debut in 2010. He played the character Hengist in the film Transformers: The Last Knight (2017). His real name is Benjamin Maurice Webb. He won the NXT Tag Team Championship Invitational with partner Tyler Bate.